I was reading this post on My Little Book Blog, who in turn got the idea from The Broke and The Bookish, so I figured I’d give it a go (anyone else reading is welcome to do so as well, leave a link in the comments section). FINDING A NEW AUTHOR AND DEVOURING EVERYTHING THEY’VE WRITTEN. I’m currently doing this with V.E. Schwab and Patrick Ness, I’m attempting to have Vicious, A Darker Shade of Magic and A Gathering of Shadows read and reviewed by the time This Savage Song is released, though releases for Australia tend to be delayed. I also intend to read and review The Rest of Us Just Live Here, More Than This and The Knife of Never Letting Go by the end of the year as well. FINDING THE BEST SECOND HAND BOOKSTORE. I have a local place I donate books to but I have also found a good bargin with second-hand clothes and books at Savers. By the way, second hand bookstores do not require any more copies of 50 Shades of Grey. SOMEONE ADORING A BOOK YOU RECOMMENDED. I haven’t really experienced this yet, I’m still really surprised when people tell me they genuinely like the book-gift I gave them (which isn’t often), so I generally don’t know if my book choice for them was good or not. I wish this was the case, most people think “she buys plenty of books” so they usually give me something else, despite the fact that bookstore gift-cards are excellent gifts. The only problem is when I got a Dymocks gift-card (which was great) but the only Dymocks I could access is the one on Collins Street in the Melbourne CBD. However, in defense of my friends and family, they are right to buy me things other than books. FINDING A NEW FAVOURITE BOOK. I don’t really have a favourite book, even though as a Book Blogger I feel as though I probably should have a top ten list (or something), but the problem with that I don’t like ranking some books better than others (we’re all interested in different things and sometimes people like the same stuff but for different reasons) and I think I haven’t read enough to really make such a list (yeah I know how that might sound to anyone who knows me IRL), but to be honest I used to think myself fairly well read and it turns out I’m not, which is ultimately a good thing (if not a little daunting). KNOWING YOU CAN ESCAPE WHEREVER YOU ARE. I’m sort of weird when it comes to reading, I need to be sitting down to be able to do it, I can be sitting down on the ground on a train platform, but I can’t stand up on a train and read. I also find it very difficult to read when I’m tired. Netherland Dwarf Rabbits: Taking Care of Them in Australia by Mischa van Loder. You should all check it out, I’m being completely unbiased here. I rarely find this, most of the books I find have the switch over to the movie-cover (which I hate because most of them are ugly), however I love the hard-back covers of The Wrath and The Dawn and The Rose and The Dagger, completely worth the extra cost. This is seriously my favourite thing to do, especially since it’s lovely to listen to (from the comfort of indoors of course). JUST READING. READING IS THE BEST. Indeed, people who tell me they don’t read weird me out, I understand people who don’t read a lot (for whatever reason) but not at all? It just confuses me. YAYYY I LOVE THESE!! And omg reading is the best. Just generally the best. How do people who don’t read even survive?!? It boggles my mind honestly, being in reality that much. 😂 I also loooove converting people to my fandoms. BEST NEWS EVER. And I love pretty book covers…I mean, some people say it’s shallow to cover judge, but why?! 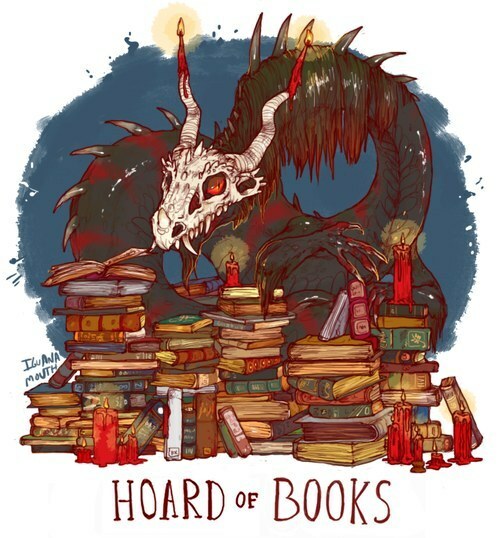 We collect books and we want nice looking collections right!? ?